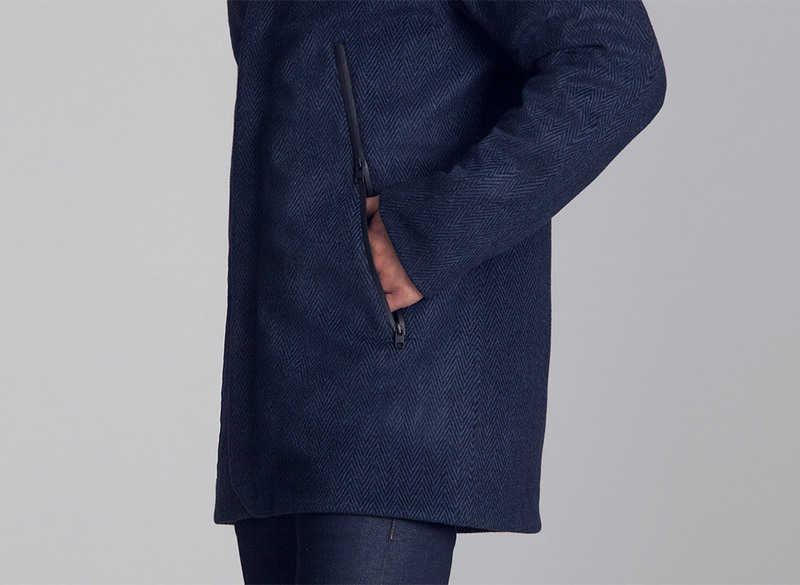 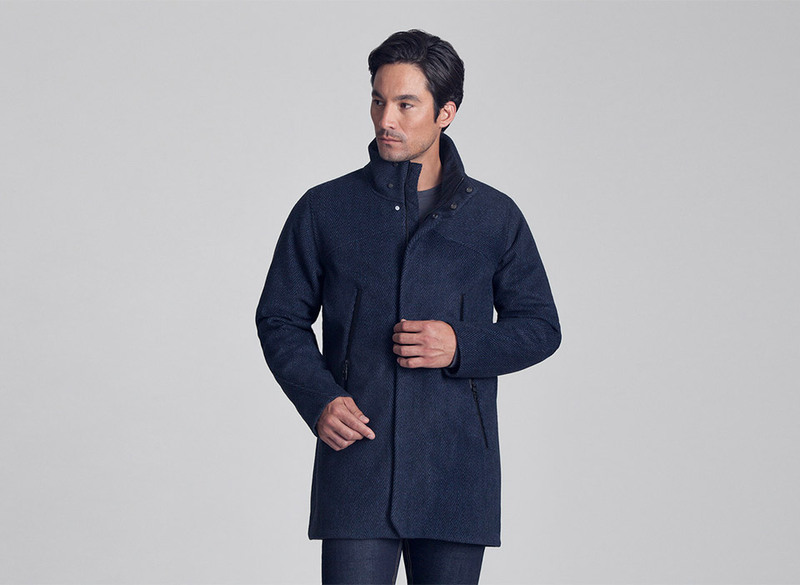 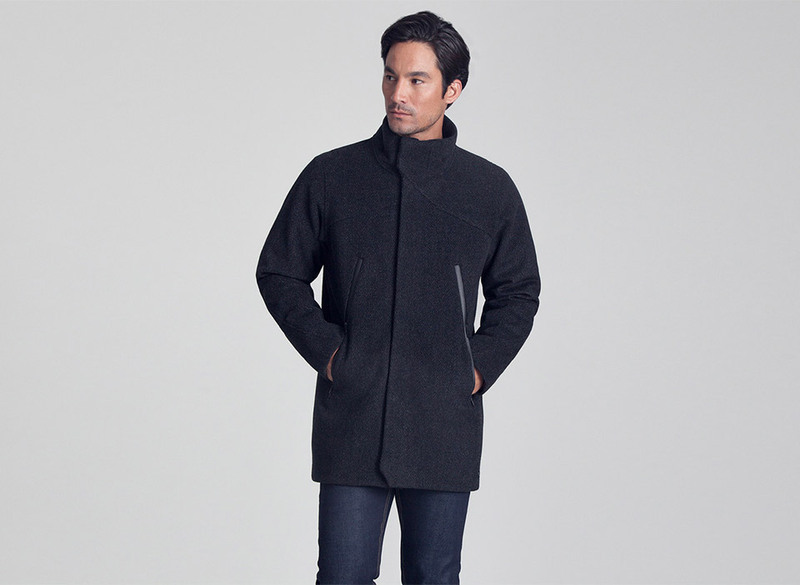 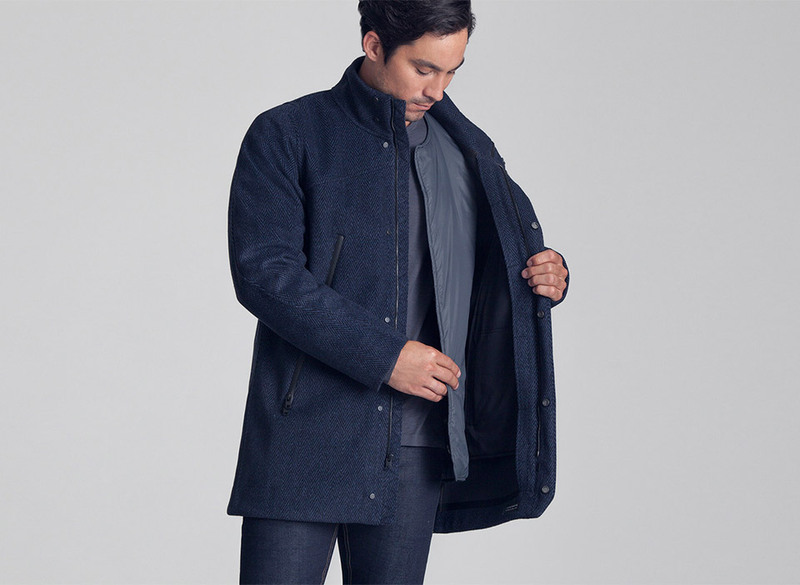 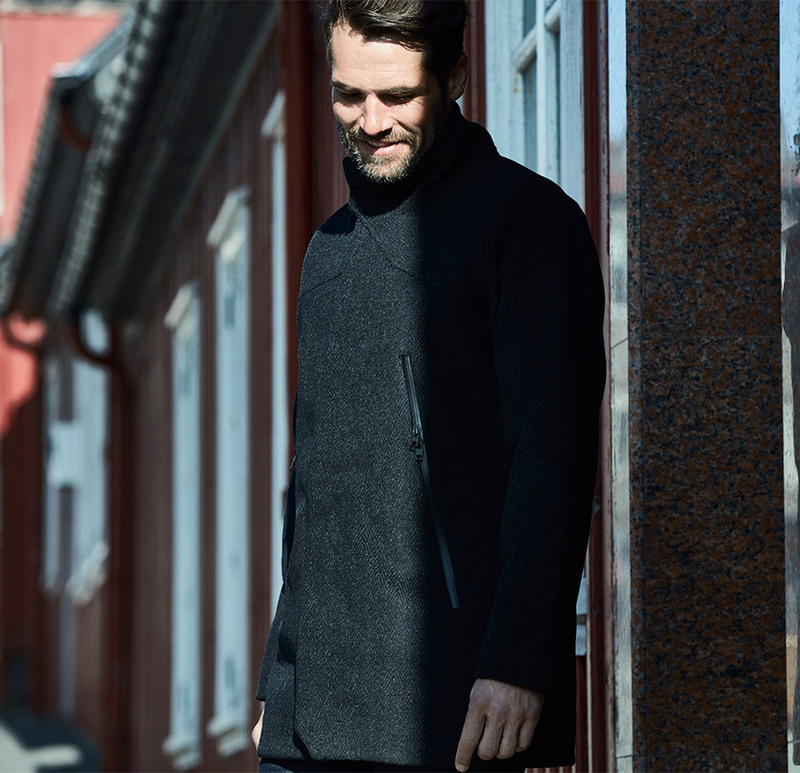 Aether’s dapper 3-layer herringbone wool coat is ready to take on wind, water, and whatever Mother Nature throws at it. 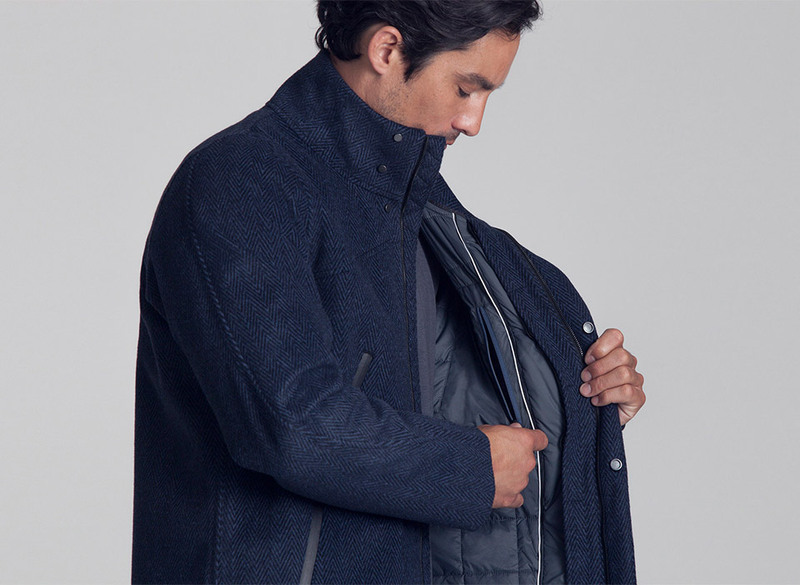 Its PrimaLoft Gold insulated lining is removable for days when it’s not as cold. 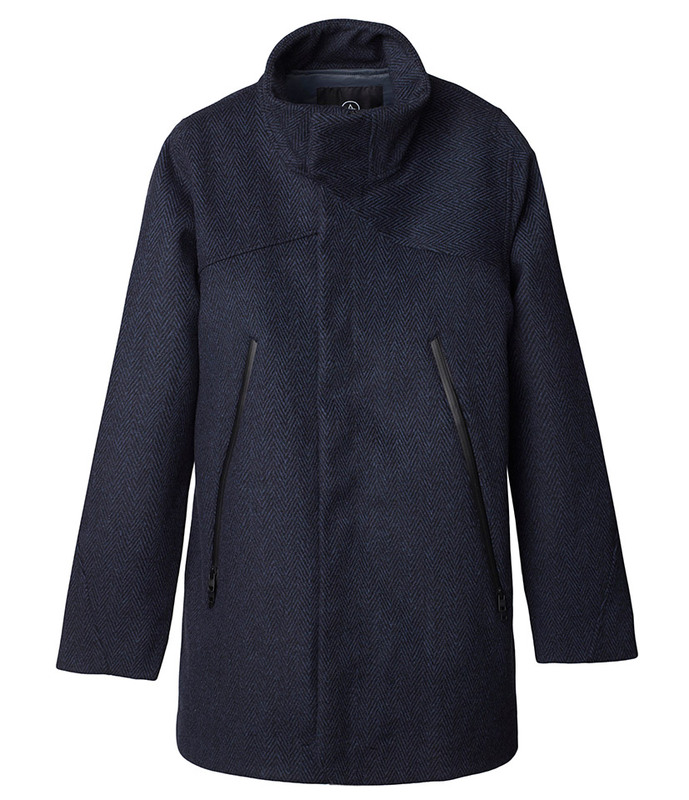 Available in Insignia Blue or Charcoal Heather.